As we begin a bright and promising 2018, I want to share with you what I’m most looking forward to as Dean of Episcopal Divinity School at Union. I am eager to welcome a new class of students in fall 2018, who will become a part of EDS’ longstanding legacy of social justice leadership. 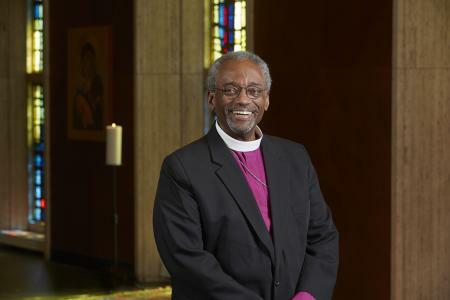 I am especially excited to share that our Presiding Bishop, the Most Rev. Michael Curry, will be the speaker at EDS at Union’s inaugural Convocation on October 31. We are honored to have Bishop Curry’s presence as we begin this new chapter of EDS at Union and I’m confident his words will serve as an inspiration to the 2018 class. As we prepare for the upcoming academic year, I have been working with colleagues and leaders across the Episcopal Church to shape a curriculum that is theologically rigorous, spiritually grounded, and deeply rooted in Episcopal/Anglican traditions, while also engaging in interreligious/interfaith dialogue. Most importantly, the program will be defined by the social justice mission that the Gospel calls us to as Christians. I firmly believe that all of these are necessary for the formation of the Church’s future leaders. I wish for all of you a blessed New Year!